Are You Planning for Death or for Life? Most of us live our lives day-by-day planning what will happen. We plan to get a job, work, earn a living in order to buy material things that supposedly bring happiness, only to find that in the end, we all die. It seems so futile. Should we live our lives only to plan our death? Or should we live our lives, knowing that we will eventually die and continue living? This incident had a profound impact on my friend and convinced him to reconsider his own choice of when to retire. You see, he had been putting off his own retirement for similar reasons. His ego was wrapped up in what he did by day, and he felt it would be difficult to give up that status. Not only did he find it difficult to give up his position, he spent more time planning his death than he did planning his life. Wow! He had all the arrangements for his funeral figured out, written down and conveyed to close friends. The cemetery lot was purchased – alongside his parents with another space reserved for his sister (where would her husband and family be laid, I wondered?) He even had the music decided. It was so clear to me that his energy was focused on “death” and not “life”. Is it easier to just keep working than to slow down and get in touch with one’s inner self? Without the constant demands of a day job, often people don’t know how to define themselves and merely check-out of life. But if they only appreciated that we need to understand the game plan better. 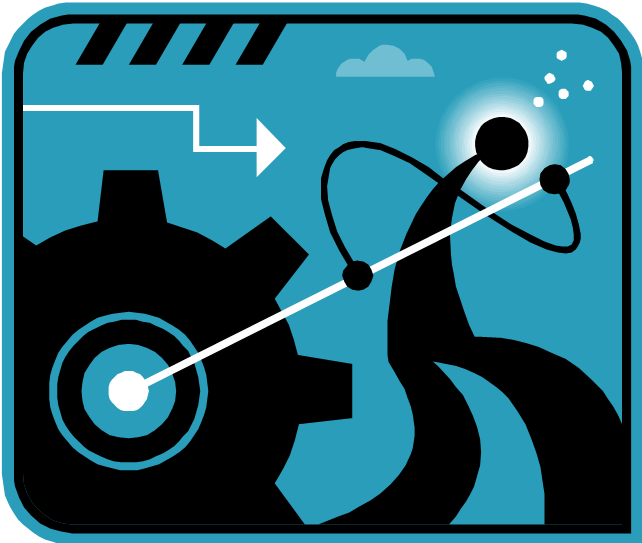 It doesn’t matter if one is a project manager, a systems integrator, a secretary or a fireman. Each position comes with both status and trials. Every event and situation gives us a learning opportunity as we navigate through the twists and turns of this lifetime. Life is more than work, and once we know our true mission, it gives us a sense of self and a peace as we move through life. The objective is to slow down and listen to self. Then and only then, can we learn our lessons – no matter what we are doing – whether working a traditional job or “retired”, to put forth the effort to “listen” to that still small voice inside guiding us daily. The signs are always there, it’s just a question of whether we are paying attention. Focusing on life means that we are paying attention and not just moving forward one step at a time until death. For information on Joanne’s forthcoming inspirational memoir, The Circle of Life – A Journey Through Grief to Understanding – which chronicles the clairaudient messages from her father to console her widowed mother and captures her first year of bereavement to understand there was more to live for as the messages foretold – see www.josanpress.com. 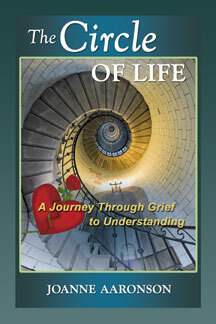 The Circle of Life – A Journey Through Grief to Understanding – books are available! After months of editing, interior formatting, cover design and lots of hic cups in the process, my books are printed! The first copies were shipped this week and copies are on hand. I sent out the first orders as well as some complementary review copies today. My goal is to generate interest via blogging here, guest blogging (please invite me) and through contacting organizations such as Hospice, Alzheimer’s Assn/Foundation, the Association for Research and Enlightenment, as well as other grief/holistic/spiritual groups. Please contact me with ideas on how to market on a shoe string. Also, my book is perfect for book groups or the subject of a study group on after death communication, spiritual laws and/or the circle of life (divine order). Just in time, right on queue, now that the heavy lifting is about up, a consulting position is looking promising to bring me more income and financial security once again. The universe is truly working according to a divine plan. When you continue to have faith in the process, the process works.